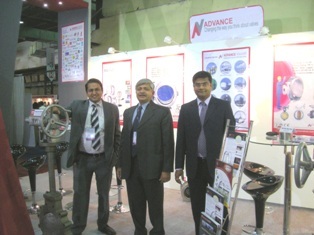 Welcome to the March edition of Advance Valves’ newsletter. The Cricket World Cup fever is hotting up and we do hope that it crests with India lifting the Cup. The 2011 budget has estimating a growth rate of more than 8% in the coming fiscal. We at Advance Valves maintain our contribution towards this. Think Big! This seems more and more the Mantra of project owners and EPCs. Advance Valves has executed recently an order for 1900 mm High Performance Butterfly Valves for one of our esteemed domestic clients for a Water Transportation project. 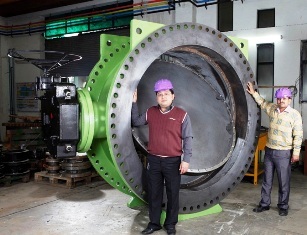 This is in sync with other large size valve developments and manufacturing ongoing at Advance Valves, including 2000mm manual, 1900mm MOVs among others. It is important to mention, that these are going to Water, Power & Refineries, including international clients. Be on the lookout for updates on those in the coming months! 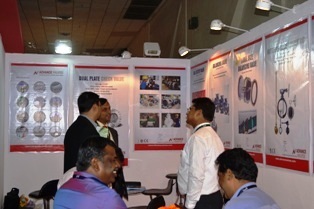 ACREX India Exhibition 2011 is organized by the Indian Society of Heating, Refrigerating & Air Conditioning Engineers (ISHRAE) and supported by large number of professional societies from India and abroad. ACREX INDIA has provided an ideal platform for exchange of ideas among professionals and opportunity to highlight latest products, trends & innovations in the industry. 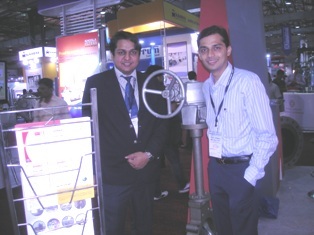 In its 12th edition, ACREX India 2011 was held in New Delhi and as promised it surpassed all previous expectations and offered a perfect stage for industry get-together with a focus on future trends. Advance Valves received huge appreciation here of the earlier launched – the large size Balancing Valve (also known as a Double Regulating Valve, DRV), with a NB of upto 1000mm (1 metre). This is a first of a kind offer, and the product will be installed in a prestigious project in Santiniketan, West Bengal. 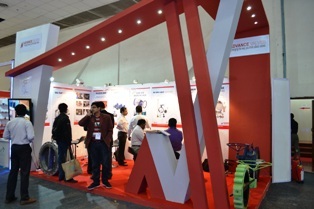 During the period ACREX was on show in Delhi, there was another International-level event being undertaken in Mumbai simultaneously– The CHEMTECH WORLD - organized by the Chemtech Foundation at the NSE Exhibition Complex. This expo is a worldwide acclaimed event for the chemical and processing industry. It is the 25th in the Chemtech series of exhibitions where Advance Valves proudly displayed its products at this for as well. We thank our customers for the high level of appreciation and acknowledge by our esteemed customers at both the events.